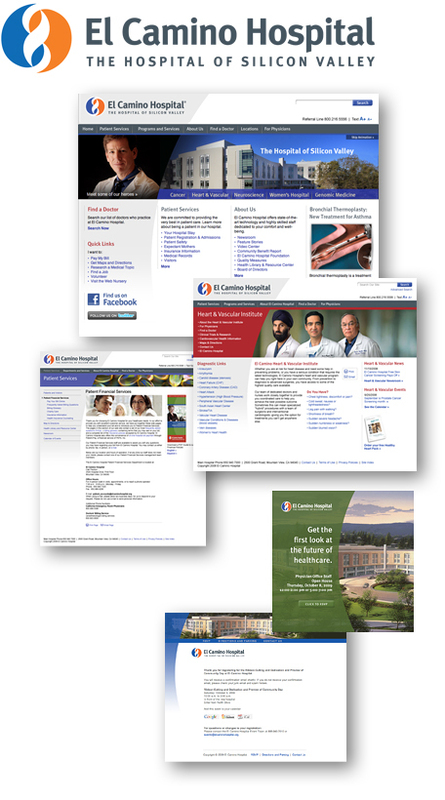 To ensure consistent communication of the El Camino Hospital’s brand in a unique and compelling manner, a new website was developed to serve as the main point of communication for patients, family, the community, perspective new doctors and employees. In additional to communicating their new brand identity, the new website was to undergo significant improvements in functionality now and over the next few years. While meeting the everyday needs of patients and the community, the new site was also to play a critical role in promoting the hospital’s emerging key service lines. A new navigation was created to better serve each of these audiences. Supporting graphics integrated into a comprehensive content management system are the final elements of the total user experience. The new site sets the framework for El Camino to incorporate additional features as they are developed.